Many people took offence at the title of my earlier post about Indonesia’s appalling performance in maths and science in the internationally standardised PISA test. Those who also read the article rightly pointed out that the headline, which called Indonesian students “stupid”, did not match the contents of the post, which was about the failure of Indonesia’s educational system to prepare children for the needs of a modern economy. I apologise for any offence caused, but am glad that the headline piqued some people into reading about this indicator of Indonesia’s educational melt-down, widely ignored by mainstream media. Now, over at Inside Indonesia, I’ve written a longer piece with an equally inflammatory title, which gives some of the reasons for that failure. 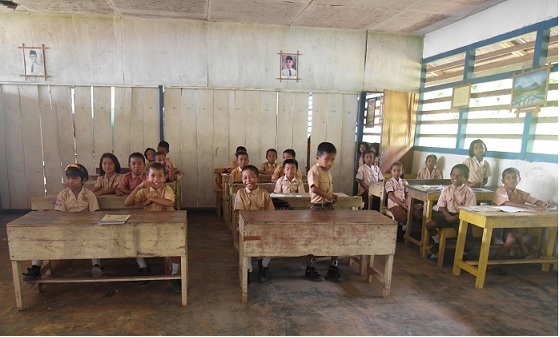 A nation of dunces describes the use of teaching jobs as sources of patronage in decentralised Indonesia, and takes a look at the government’s (so far failing) efforts to increase quality in teaching. 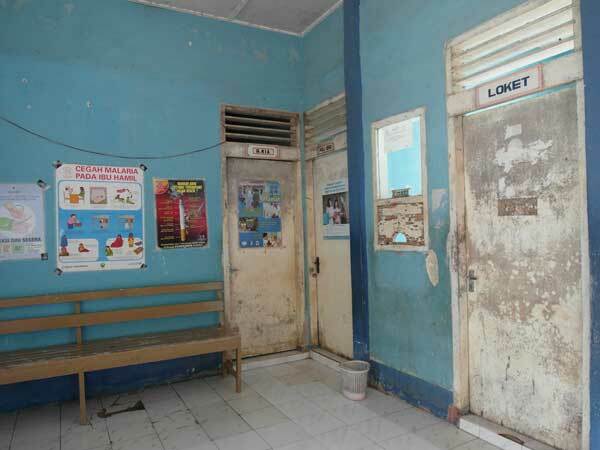 The picture above was taken in Lombok, in what I thought was an abandoned health centre. There was a little lab, a couple of consulting rooms, a dispensary, all mouldering with neglect. But on a door to a room in the back yard I saw a sign “The midwife is IN”. I knocked on the door, and to my amazement there she was. Could this derelict place be a living Puskesmas, a village health centre? I asked where the rest of the staff were. “Oh they’ve built a new puskesmas down the road, so it’s just me here now,” came the reply. It’s no bad thing that people get upgraded health facilities. But just down the road? When there are so many remote areas with no facilities at all? This wreck of a building illustrates the distorted incentives in Indonesia’s health sector. It’s more profitable, both politically and financially, to build new stuff in already well-served areas than it is either to maintain existing facilities or to expand to places that qualified staff don’t want to stay in. In this piece in the new edition of Inside Indonesia, I conclude that only healthier politics can cure Indonesia’s sick health system. The whole issue is dedicated to the politics of health: there are pieces on the tobacco lobby, the neglect of mental health, abortion and much else. Check it out.